GET YOUR SCARVES UP! 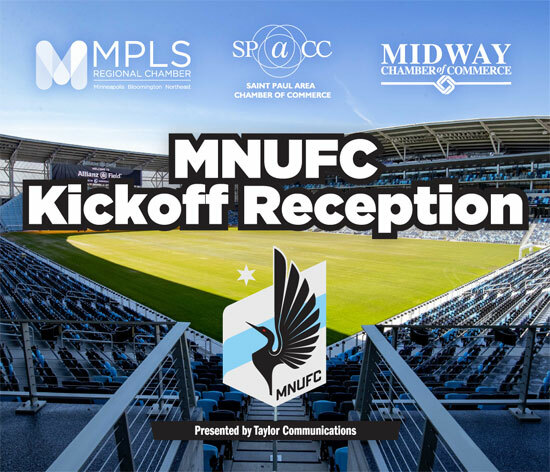 Join us at the new Allianz Field for our annual MNUFC Kickoff Reception on Wednesday, May 1 as the Loons gear up for another incredible home season! Rub elbows with players and coaches and catch up with your heroes on their home turf while enjoying the view from the Stadium Club! This event is held in partnership with the Midway Chamber, Minneapolis Regional Chamber and Saint Paul Area Chamber of Commerce.